Fischer DIPK Insulation Render Fixing 10 / 100-120mm (50 Pack) is rated 4.2 out of 5 by 5. Rated 5 out of 5 by renovelle from quality fixings Used for fixing batons to a brick wall, tried cheaper alternatives which appeared to work well until I wanted t remove them. Fischer's unfastened without issue, heads chewed and screws sheared on cheaper fixings. Rated 5 out of 5 by Grumpy001 from Quick and simple Used to fix Celotex board to thermalite blockwork. Very quck and simple method of fixing. Helps get the job done in no time. 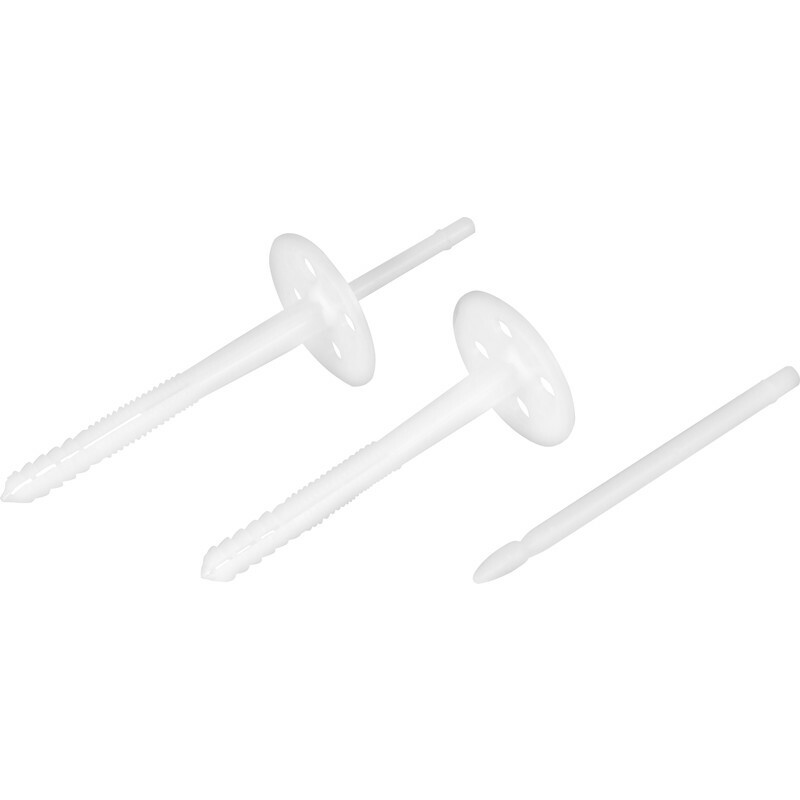 Rated 5 out of 5 by Nobby635 from Quick and Easy to use Used to fix insulation to and interior wall, and they were very easy to fix and had no problems with pins snapping as in other reviews. Just make sure the hole is deep enough. Rated 1 out of 5 by ECO build from I'll never buy it any more. This was very first & last time when I bought cheap version. I'll never buy it any more. 4 z plastic anchor not so cheap. Half or more of it was disposed in the course of the project. Rated 5 out of 5 by Anonymous from Simple and save time. I bought these to secure 60mm kingspan to brickwork. They are simple to fix and have a good grip. It's not clear how far to knock the expander rod in though.